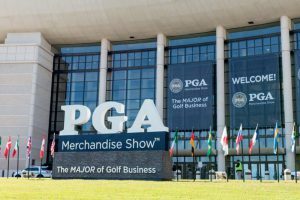 I remember meeting James Bond at the PGA Merchandise Show in Orlando like it was yesterday. “You didn’t say cheese!” shouted a distant voice in the crowded convention hall. I wondered if that comment was for me as I scanned the busy room. Oh, well. I picked up my camera, and again I got the same response. Off to the side I finally saw a smiling face that caught my eye and quickly navigated the crowd to come over for a chat. Turned out James Bond was spying on me from the sidelines. Not British and not wearing a tuxedo, Mr. Bond did make a big impression with his charming personality and diamond-plated prosthetic leg. Not what you expected me to say, right? This James Bond is a hero of a different sort. Mr. Bond, CEO of Amputees Talk Shop, a resource group for amputees, and a certified peer visitor under the guidelines of the Amputee Coalition, is an advocate for the amputee community, helping people explore their options and find support. A U.S. Army tank mechanic who lost his leg after a drunk driver hit him on his motorcycle, Bond has turned his disability into superpowers that most of us would love to perfect–perseverance and a positive attitude. Something that he attributes to his grandfather, Mr. Bond uses patience as a teaching tool for amputees to set goals and to challenge themselves on their journey through therapy. Brooks Rehabilitation’s Adaptive Sports and Recreation program in Jacksonville, Fla. These skills were immediately recognized by a nurse who suggested he speak with a 16-year-old who had a similar accident just six months after his own. After visiting his hospital room and trading antics, the boy’s spirits were lifted and the mother cried tears of joy. That was 30 years ago. Not looking back, Bond continues to do what he’s always done – get people talking and make them feel comfortable. He says it’s the best feeling when he walks into a room and sees people smile. Bond also has a passion for golf and has been an adaptive golf instructor for ten years. He says one of the best tools people with disabilities use to aid their golf game is adaptive golf carts. 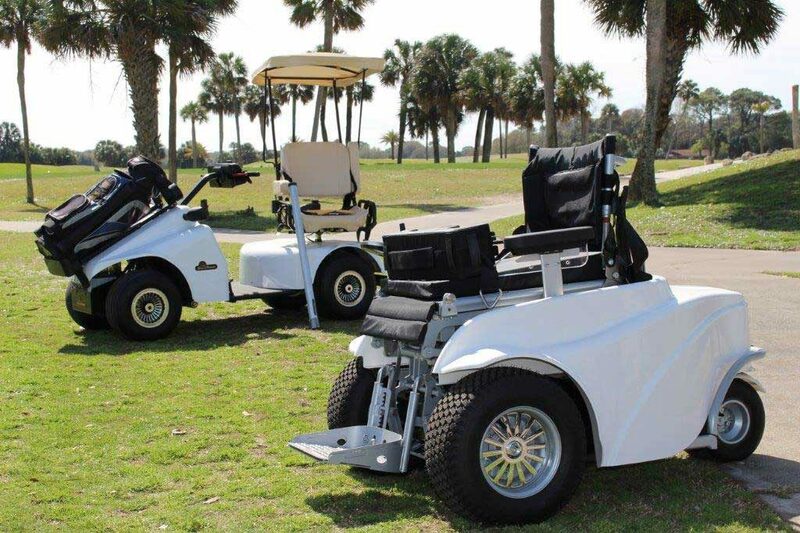 These carts are equipped with special features to get amputees and paraplegics in position to hit the ball whether on the fairway, green or in the sand trap. 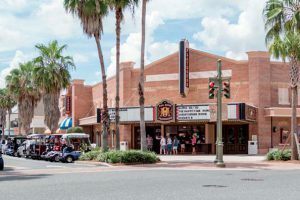 Alice Krauss, physical therapist and manager of Brooks Rehabilitation’s Adaptive Sports and Recreation program in Jacksonville, Fla., echoes Bond’s enthusiasm for these adaptive carts. Krauss and Bond named Paramobile/Paragolfer and SoloRider as the carts used in their programs. Both are single-ride carts with seats that can stand you up to swing a club. While golf courses are required by law to have accessible golf carts available for players with disabilities, Bond states not enough courses follow the guidelines because they don’t see a demand. But the demand is out there. 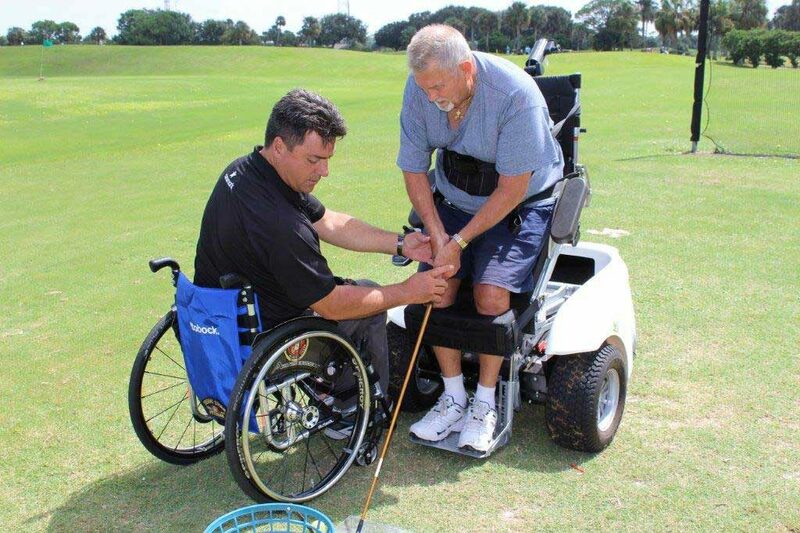 The Tampa VA’s Adaptive Golf Clinic has been held every Friday for the last ten years. Bond says that the VA’s clinic has even attracted blind people to learn the game. And Brooks Rehab’s adaptive golf program grew from a monthly to weekly activity due to the community’s response. Every single therapy session at Jacksonville Beach Golf Club is filled, and participants range from kids to 90-year-olds. Brooks and Jacksonville Beach Golf Club have invested in two Paramobiles and two SoloRiders for the program. Krauss and Bond named Paramobile/Paragolfer and SoloRider as the carts used in their programs. 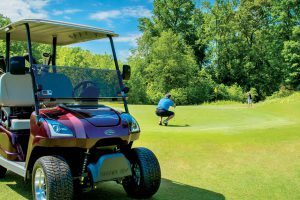 Paramobile/Paragolfer golf carts are single-ride, all-terrain vehicles that are made to negotiate a golf course and safely and securely position a disabled golfer to swing a club. These carts can also be customized for other activities like fishing. Another single-ride option is the SoloRider. With patented swivel seats that can be raised to a hitting position, the SoloRiders are versatile and can be used as a standard golf cart or taken on tee boxes and greens. 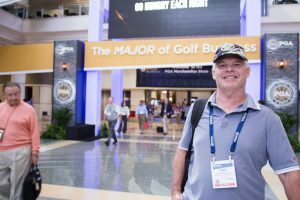 No matter if golf is a newly acquired hobby or a long-time obsession, adaptive carts give amputees and paraplegics a boost in confidence. Once a Brooks program participant is checked out by golf pro, Mary Lions, they are allowed to take the carts out on their own at the Jacksonville Beach course. Bond sums up the advantages of golf as therapy. “Math,” he says. “If you can drive a ball a hundred yards, you’ll make the par 4 on a 240-yard hole. You can hold your own. 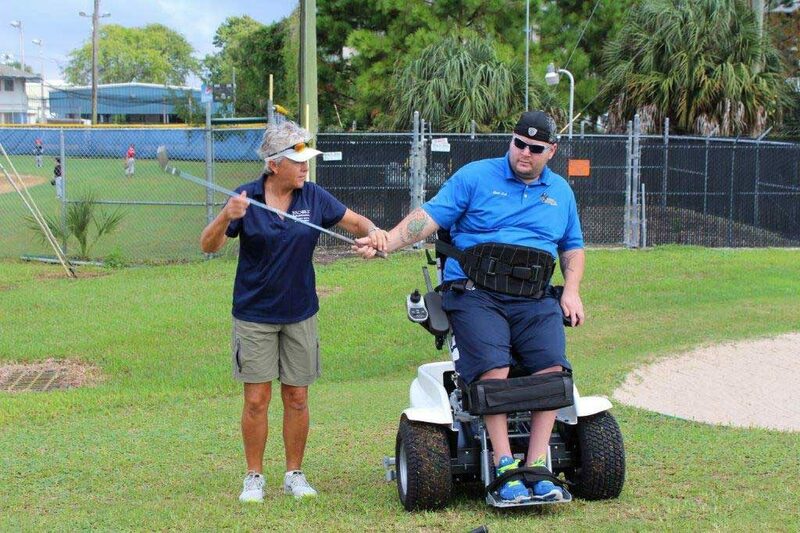 It’s one of the only sports where you compete against yourself.” And adaptive golf carts help even the playing field for many who wouldn’t be able to enjoy the game otherwise. The nation’s leading organization on limb loss, dedicated to enhancing the quality of life for amputees and their families. A support group focused on providing information on technology and resources for amputees and their families. with all disabilities, including yoga, rugby, basketball, rowing, surfing and golf.